Can a SIMPLE IRA Be Rolled Over Into a Traditional IRA? Non-qualified rollovers result in early distributions, which, within the first two years, are subject to a 25 percent early withdrawal penalty. 2. Can an Individual Make Both IRA & Simple IRA Contributions? Some small employers opt to offer a savings incentive match plan, called a SIMPLE IRA, for employees' individual retirement accounts rather than other types of retirement plans, such as a 401(k) or 403(b). 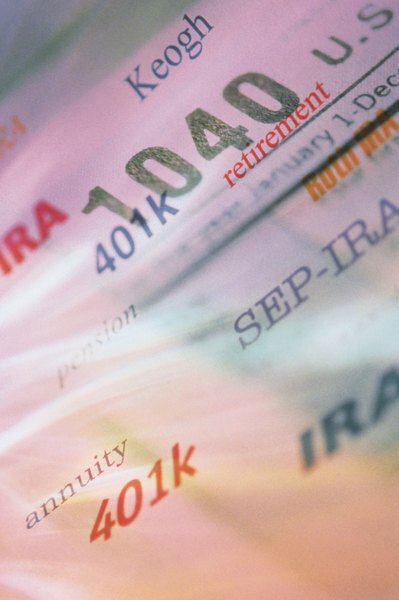 SIMPLE IRAs offer tax-sheltered growth for retirement savings. Before you try to roll over money from a SIMPLE IRA to a traditional IRA, make sure you know the rules. You can roll a simple IRA to a regular IRA but must take care of the SIMPLE IRA two year rule, which can lead to a 25 percent tax penalty if not followed. You cannot roll over money from a SIMPLE IRA to a traditional IRA within the first two years after you open the SIMPLE IRA. The two-year time frame starts running from the day you or your employer make the first deposit into the SIMPLE IRA. The only way to move money from a SIMPLE IRA within the first two years is to roll it into another SIMPLE IRA. A transfer to any other IRA during the first two years is considered a SIMPLE IRA withdrawal or distribution and will get hit with a 25 percent tax penalty in addition to regular income tax. Once you've satisfied the two-year requirement, you're home free regarding rolling over a SIMPLE into a traditional IRA; it won't be taxed as income and won't be subject to a penalty. Unlike other employer plans, after the two-year period, you can roll over the money from the SIMPLE IRA to a traditional IRA regardless of whether you're still working for the employer, your age or any other factor. For example, if you have a 401(k) plan, you can't roll the money into a traditional IRA or any other plan until you've left your job, turned 59 1/2 or become permanently disabled. Both SIMPLE and traditional IRAs are pretax retirement plans, which means rollovers from one plan to another aren't taxable. However, you still have to report the rollover on your income tax return. On the form, you have to report the total as a nontaxable IRA distribution and then, assuming you completed the full rollover, report "0" as the taxable amount and write "rollover" next to it. You can only roll over money from your SIMPLE IRA once per 12-month period. If you take a second distribution from the SIMPLE IRA within 12 months, it is ineligible to be rolled over. For example, if you complete a rollover from the SIMPLE IRA in January and then take another distribution in June of the same year, you can't roll the second distribution over at all. To avoid the frequency limits, consider using a transfer rather than a rollover. With a transfer, the money is moved by your financial institution directly to your traditional IRA and you never had to touch the money. Not only do you not have to worry about frequency limits, transfers also don't have to be reported on your taxes. As with other types of IRA, if you're rolling over money from a SIMPLE IRA, it's usually best to have the funds sent directly from one financial institution to another. If you do take money into your possession and don't redeposit it in a new IRA within 60 days, you will be considered to have taken a distribution and will owe tax. The rules around traditional IRAs and SIMPLE IRAs aren't changing significantly for 2018. If you do have a taxable withdrawal, you may owe less under the new tax brackets than in previous years. IRAs are basically treated the same in 2017 tax law as in subsequent years, but since tax bracket rates are generally higher, you can save more by putting money into a retirement account and owe more when you take money out in 2017 than in 2018. Can I Combine SIMPLE IRA Contributions From Different Businesses?